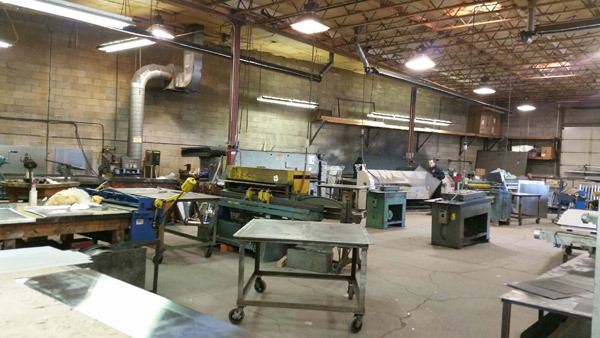 The shop at Cascade Heating is capable of all aspects of flat metal fabrication and welding. ​We offer a complete supply of stainless steel, copper, brass, aluminum, painted metal, galvanealed and galvanized sheet metal and decorative caps and shrouds. 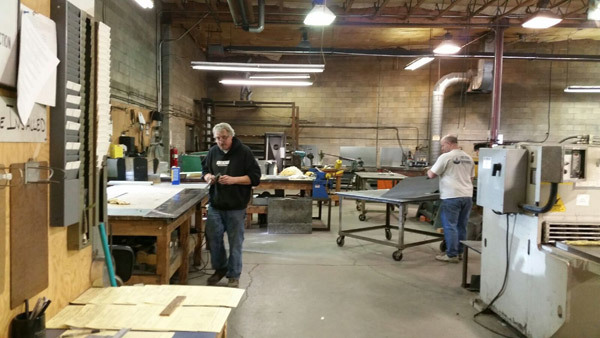 ​You can count on our team to get all your fabrications met to your complete specifications. Give us a call at 541-382-8483. A sampling of some custom copper counter tops fabricated in our shop for one of our many satisfied customers. Hi, my name is Steve Pence. I have been involved with the sheet metal trade for 30 years now with the last 28 years here at Cascade Heating & Specialties. The last 14 years my duties have been Shop Manager. My other interests include my 5 children and my 9 grandchildren. ​My hobbies include hunting, fishing, golf and more golf. Hi, I am Greg Erickson and working with metal has been a lifelong endeavor for me. I have been with Cascade Heating & Specialties for over 14 years now. ​Outside of work I enjoy doing things with my son, skiing, fishing and continuing to fabricate more metal art.